Brand new, never used. I had an extra laying around. 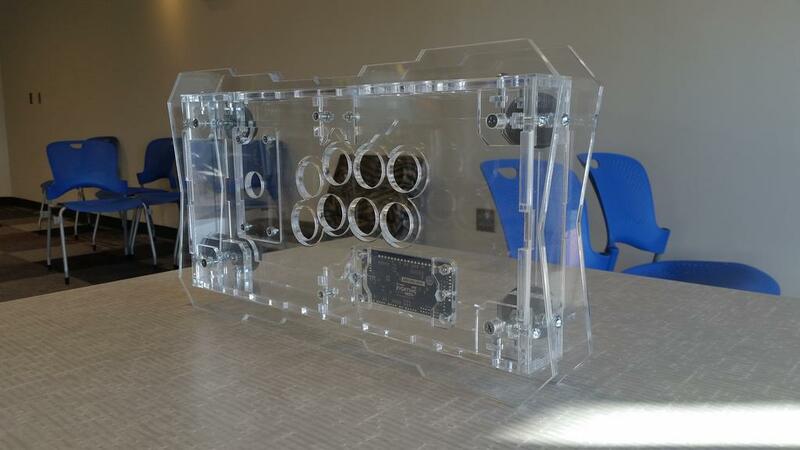 Brand new laser cut acrylic hitbox. Made from .25 inch acrylic and the top playing surface is .50 inches. 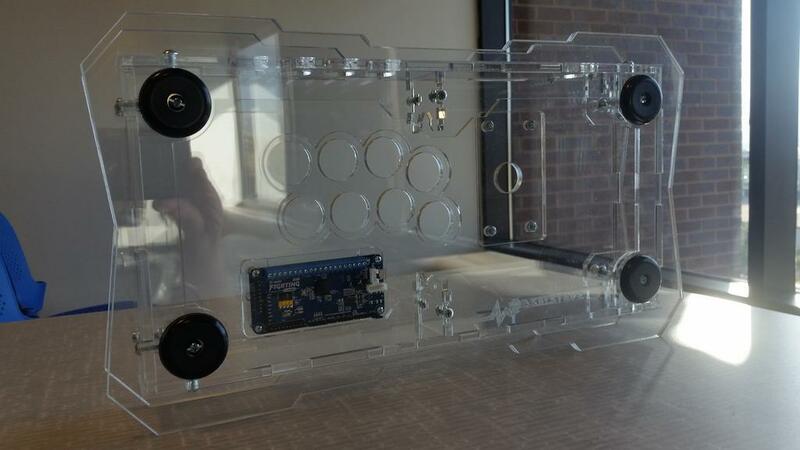 Has the standard hitbox layout of one 30mm button and eleven 24mm buttons. 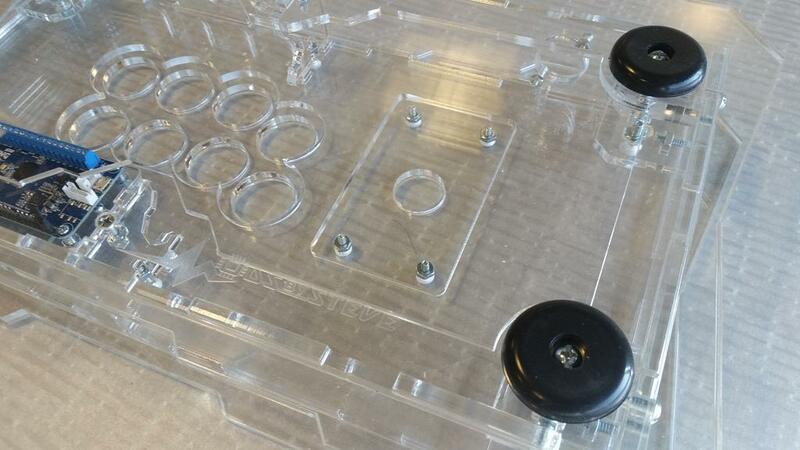 There are four 24mm buttons on the side for start/select/home/extra. 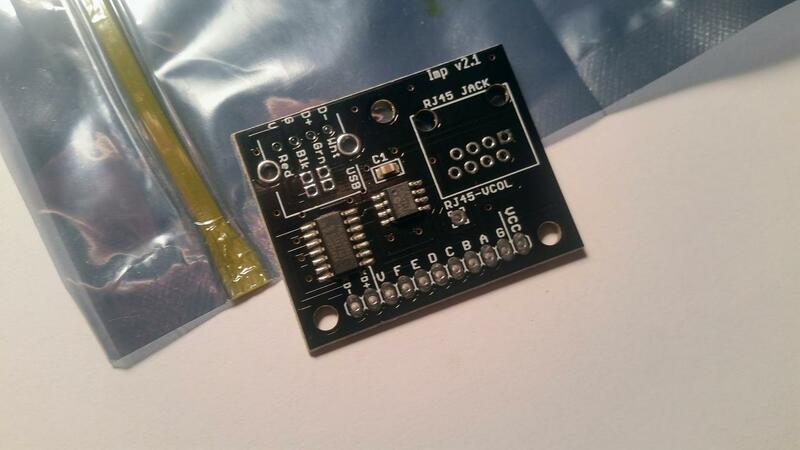 Comes with non-skid feet and a pcb plate that holds a Brook pcb. Case will come clear, I used some colored paper to show how art can be inserted on all six faces of the case even the inside. 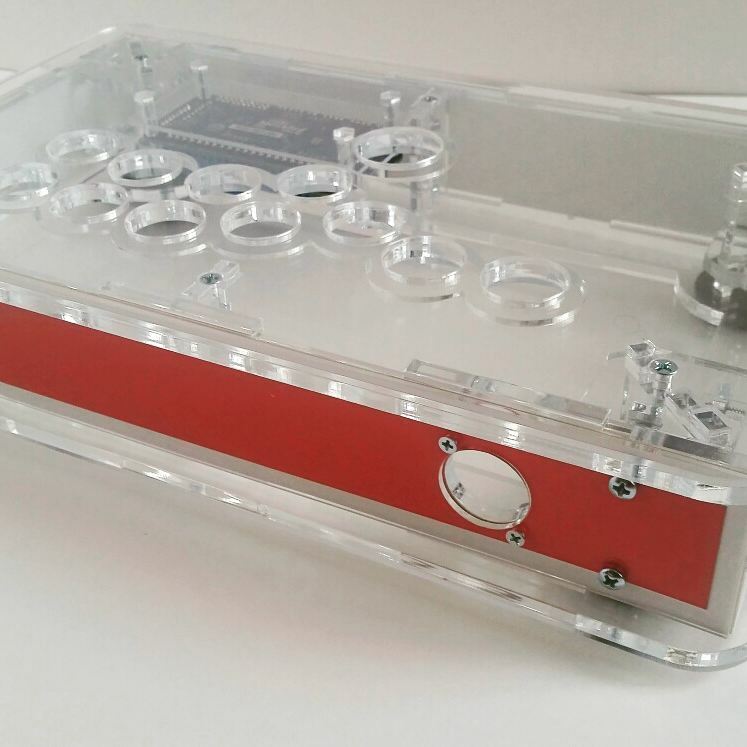 I can build out the case with buttons, wiring, and pcb for an extra fee. 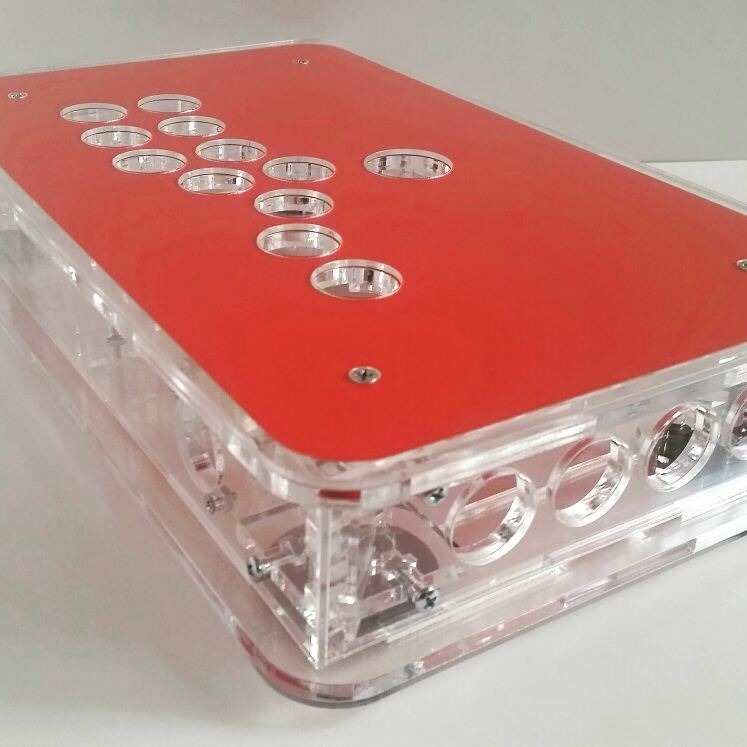 Brand new laser cut case. This case is pretty big but not too heavy, I would say 5 lbs. 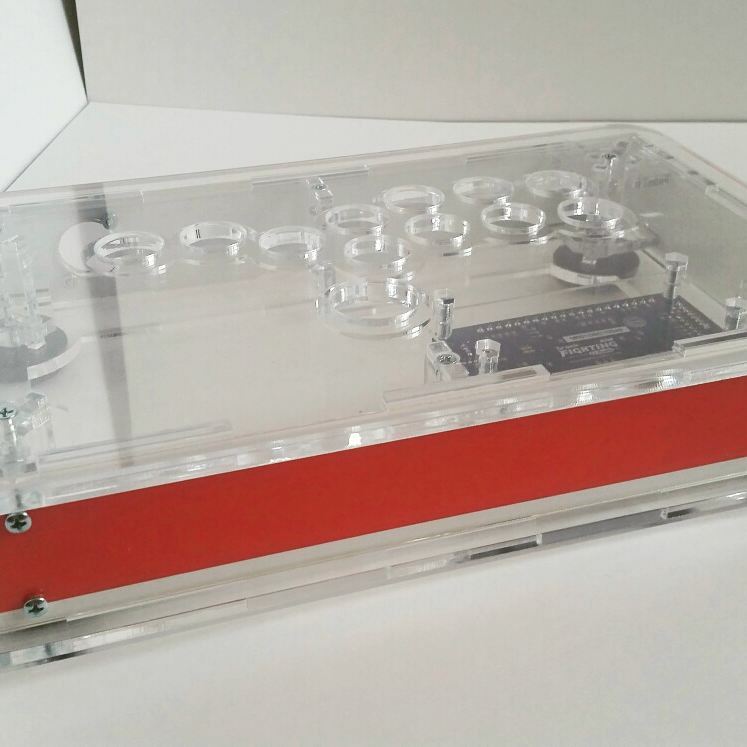 This is a solid case, very strong and little to no plexi flex due to my design of it. Made from .25 inch acrylic and the top playing surface is .50 inches. 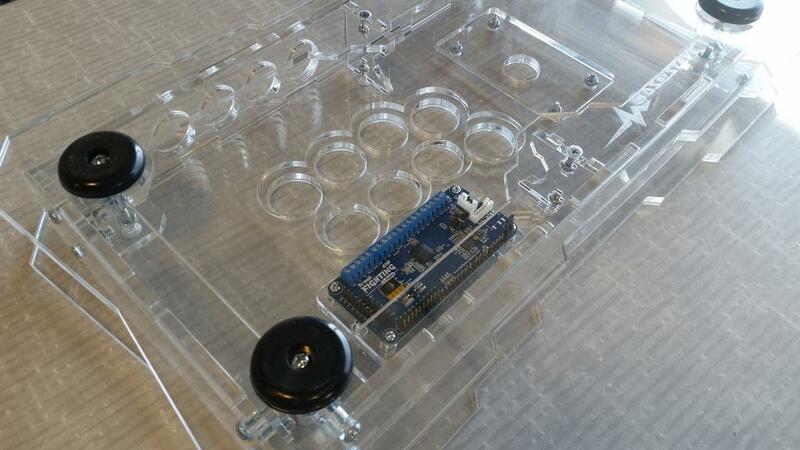 Has an 8 button viewlix layout, can house a Sanwa joystick along with Sanwa or Seimitsu buttons. 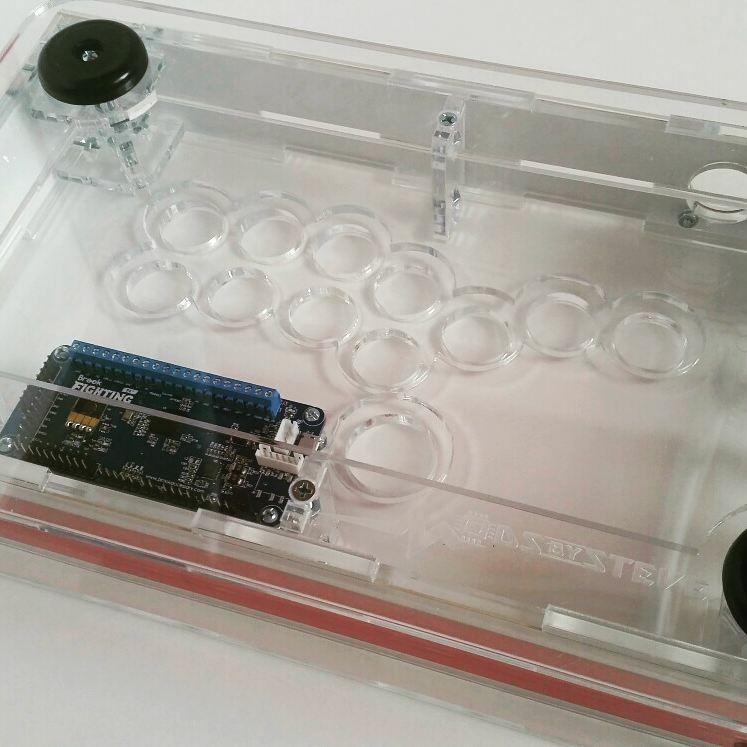 There are four 24mm buttons on the front for start/select/home/extra. 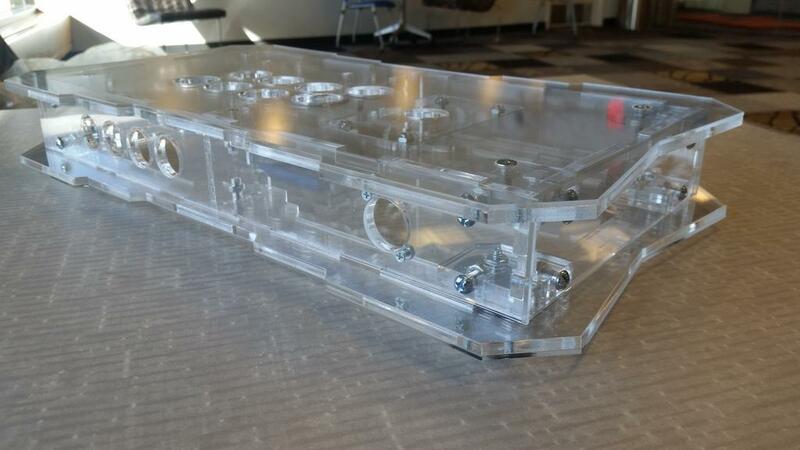 Comes with non-skid feet and a pcb plate that holds a Brook pcb. 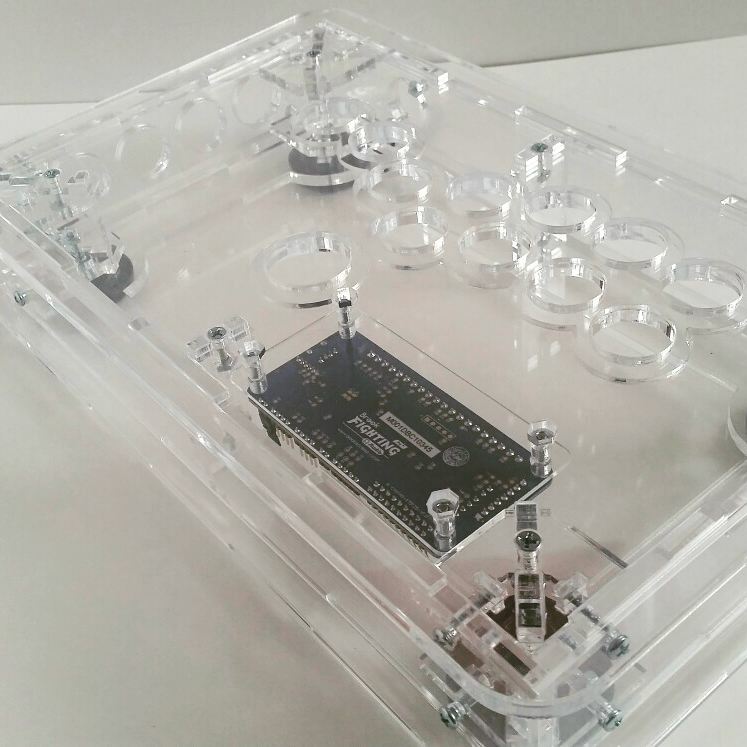 Insert your parts, wire up your pcb then start playing. Case will come clear but you can insert art on all 6 faces of the case and on the inside too! Cool stuff. This guy is legit. 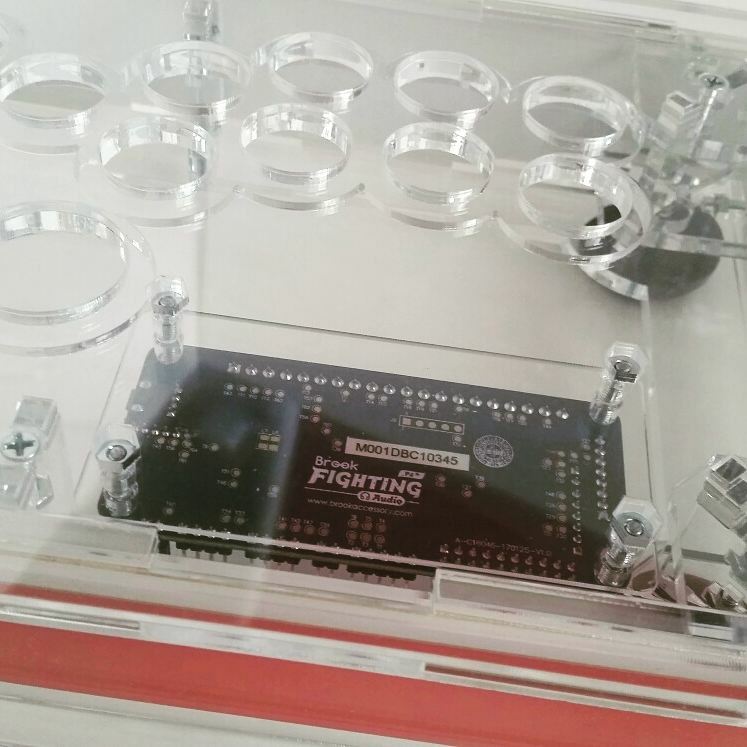 My hacked ps4 pcbs still working great after 2yrs. Never been used. Customer changed their mind and went with a UFB. 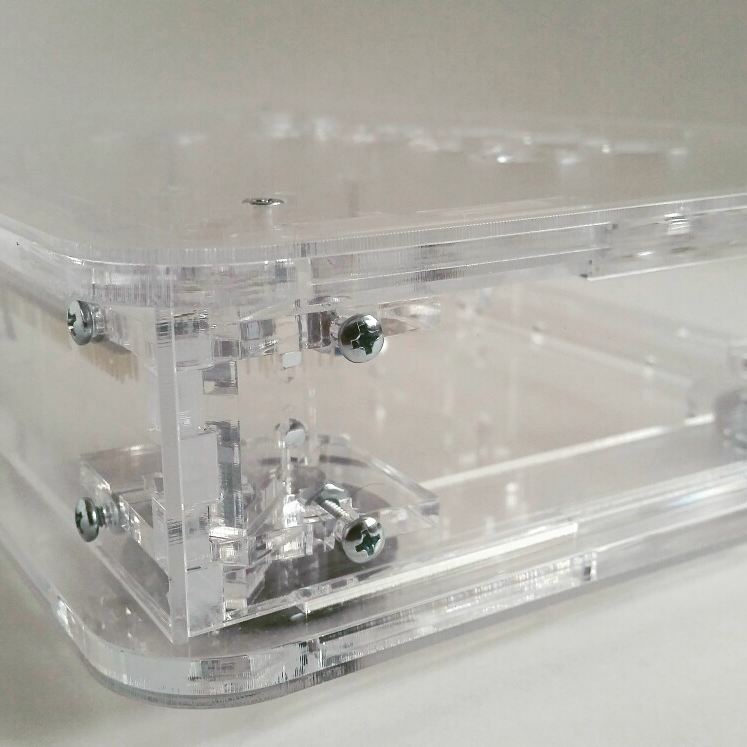 Case measures 13 x 8 x 2.25 inches. Swipe right to see different pics of it. 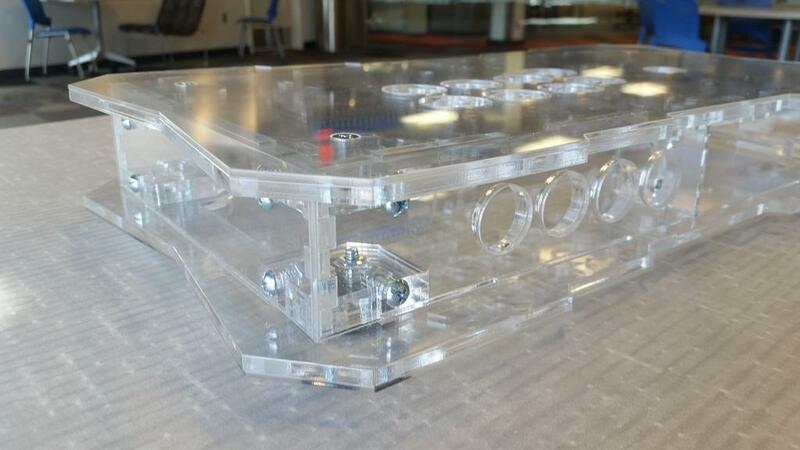 Clear acrylic case with yellow body panels and pcb plate. 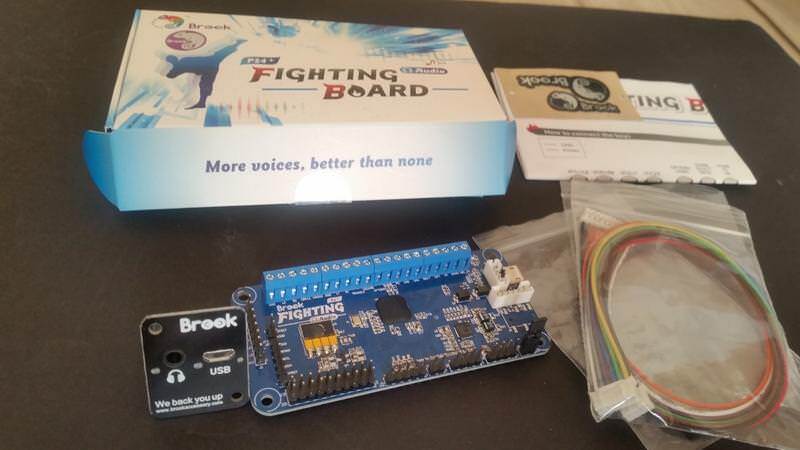 Drop in your buttons and Brook pcb with a little wiring and you are ready to play. I can do the wiring for you for an extra fee if you want. Art can be inserted in all 8 faces and the inside too. Same mini case as this one I did a while back. 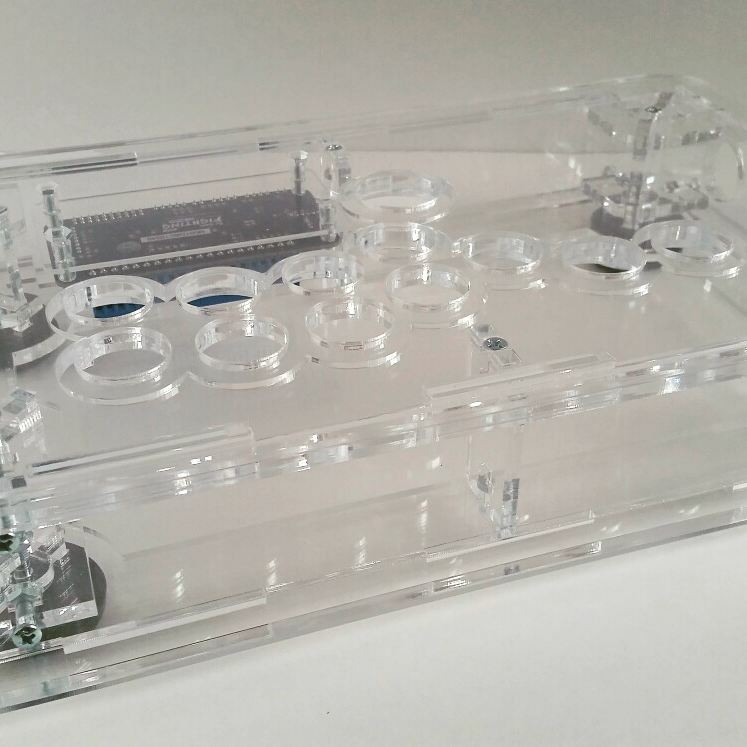 Clear acrylic case with white body panels and pcb plate. 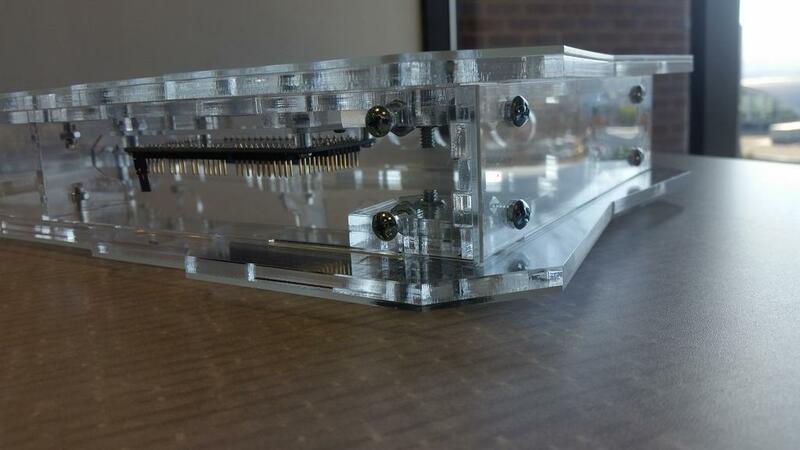 PCB Plate has footprint to hold a Brook PCB. 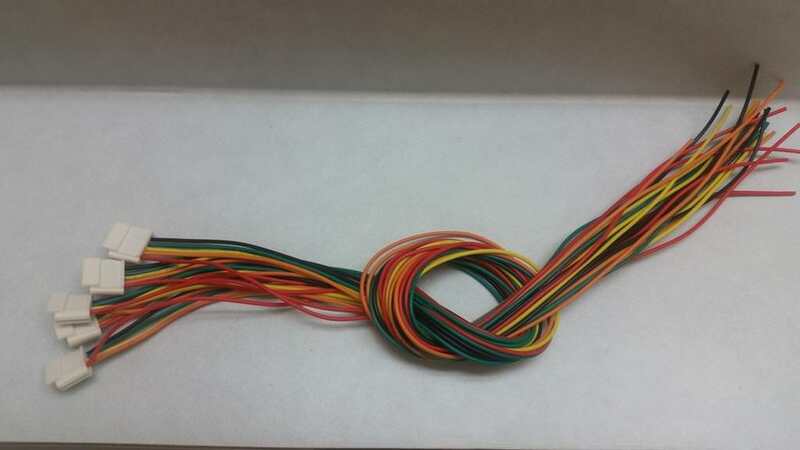 Drop in your buttons and Brook pcb, wire harness is provided. 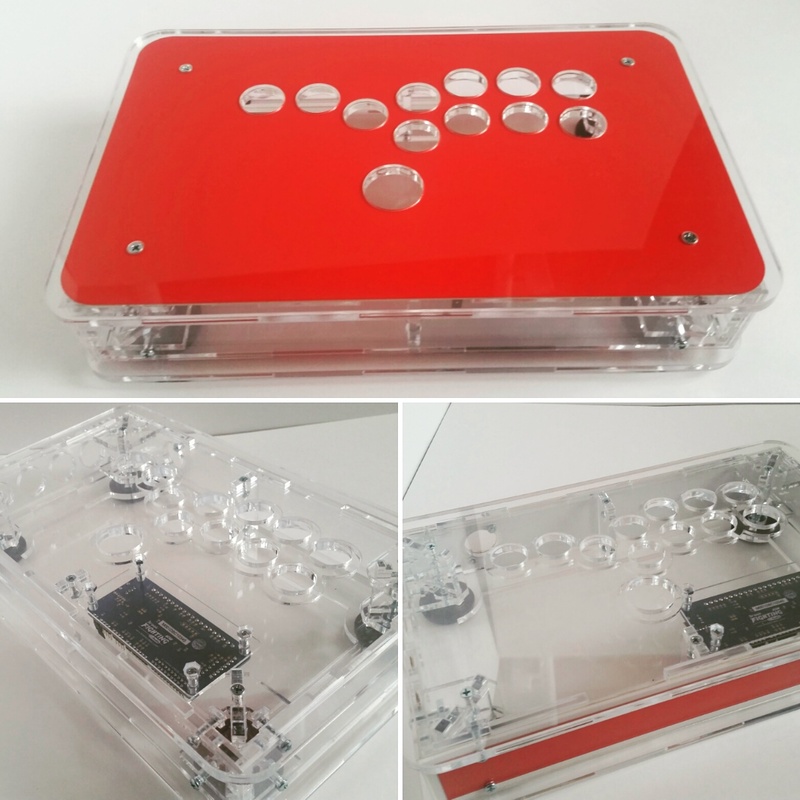 Price on the Hitbox, $120. 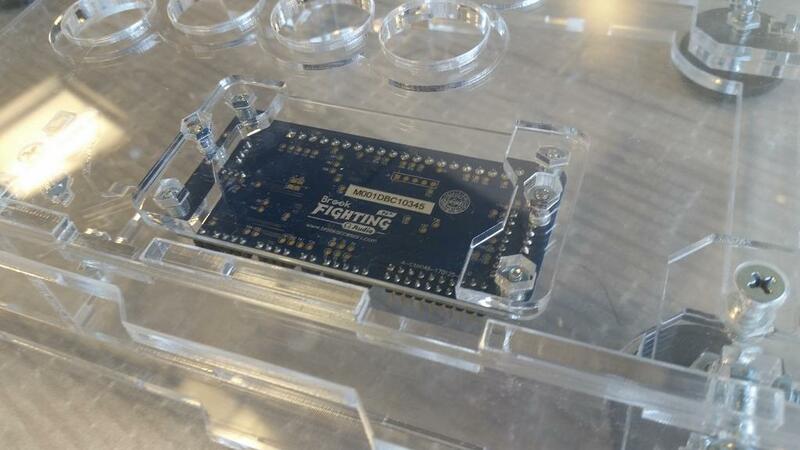 Price includes case, wiring, and shipping in the US. 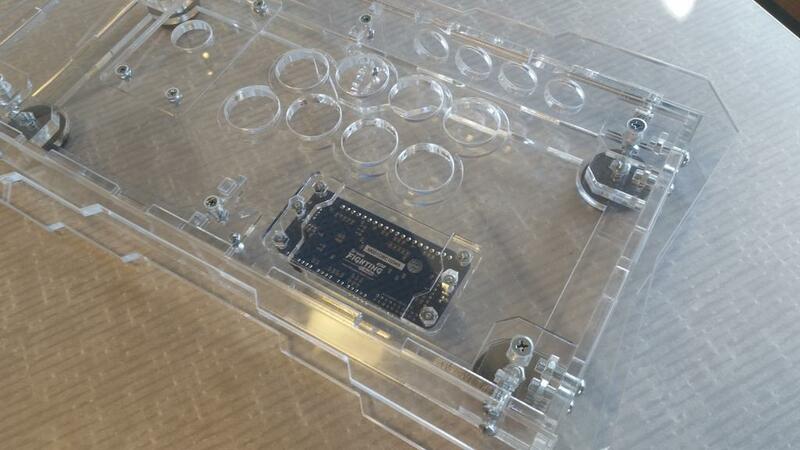 Hitbox with wiring still available. $120 shipped in the US. $5 each, shipped in the US. These are brand new wire harnessess. Don’t need them anymore. I have 5 of them total. Selling them for $5 a piece shipped in the US. Details and pics in my instagram post. 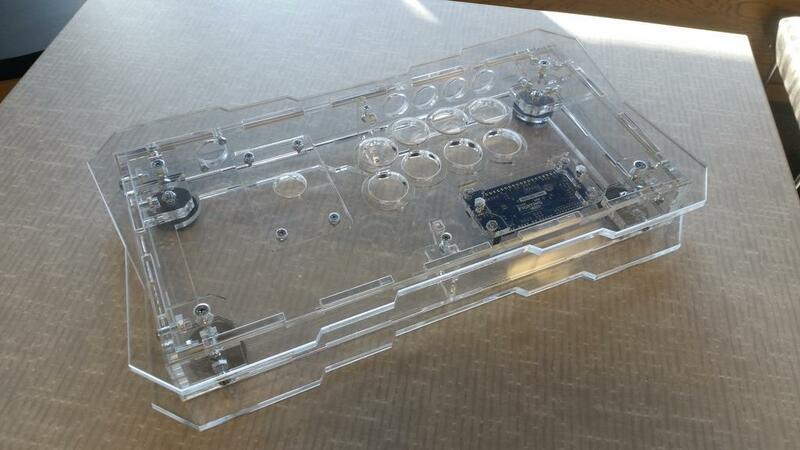 Shield 349, the hitbox is still available. Send me a Private Message or email to modsbysteve@gmail.com and I’ll send you a paypal invoice for it.